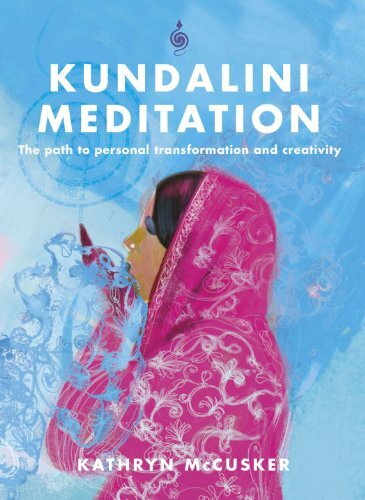 This book explains, in guided stages, how to awaken kundalini, the powerful life force present in us all, allowing you to experience insights and creativity through meditation as well as incredible levels of energy. <br />First you must become aware of the energy channels running along the spinal cord - the nadis - and the chakras or energy centres which are strung along the nadis like jewels in a necklace. Next, by practising purification rituals, breathing exercises called pranayama, meditation, yoga poses and mudras (hand positions), you can ensure that kundalini is drawn up through the spine, opening each chakra in turn and causing it to 'bloom like a flower'. <br />A special feature of the book is the guided meditations targeting common problems and issues - for example, releasing anger, lifting depression, promoting healing and inviting love into your life. This beautiful, inspiring yet practical book will bring you to a whole new level of awareness, inner peace and insight. Kathryn McCusker is a certified yoga teacher with the School of Kundalini Yoga and has taught in leading yoga studios including Triyoga and Alchemy in London. Her private client base includes actors and musicians and she leads workshops and retreats around the world. A professional opera singer, Kathryn McCusker brings her special understanding of the power of sound to her teaching of yoga.